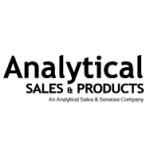 Analytical Sales and Services was formed in March 1988. Our major focus is in the HPLC and related chromatography markets of the pharmaceutical and chemical industries with a primary focus on R&D. We've built our reputation as a caring value-added technical support company where we apply intelligence to helping you make your analysis more valuable. We invent and supply a vast array of products tailored to chromatography applications. Therefore, our intellectual property can help yours. We know it's important to you to be able to discuss new products, ideas, and ways to improve support after the sale. After all, your success is ultimately our success too!